Today I decided to be really organised, get up early and get straight to work! Starting next week I seem to have a sudden burst of university interviews hitting me straight in the face and with the stress of Christmas and coursework deadlines it's all getting a bit much. I decided to catch up with some blogging, all my school work, AND my university portfolio this Sunday but it didn't exactly go to plan. After getting up early, doing my makeup and getting dressed I realised that it was raining outside...just my luck! 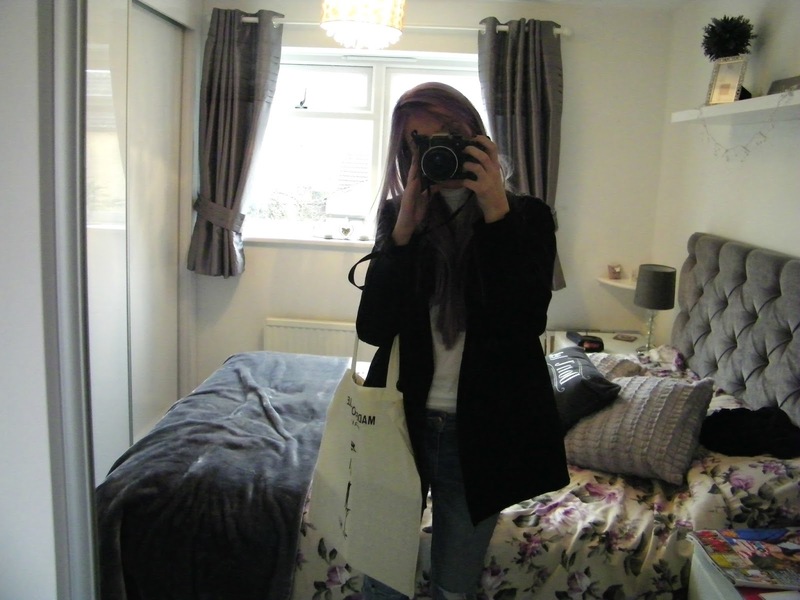 I really wanted to get an ootd post up for you all so I grabbed the camera and ran upstairs to take some quick pictures inside. 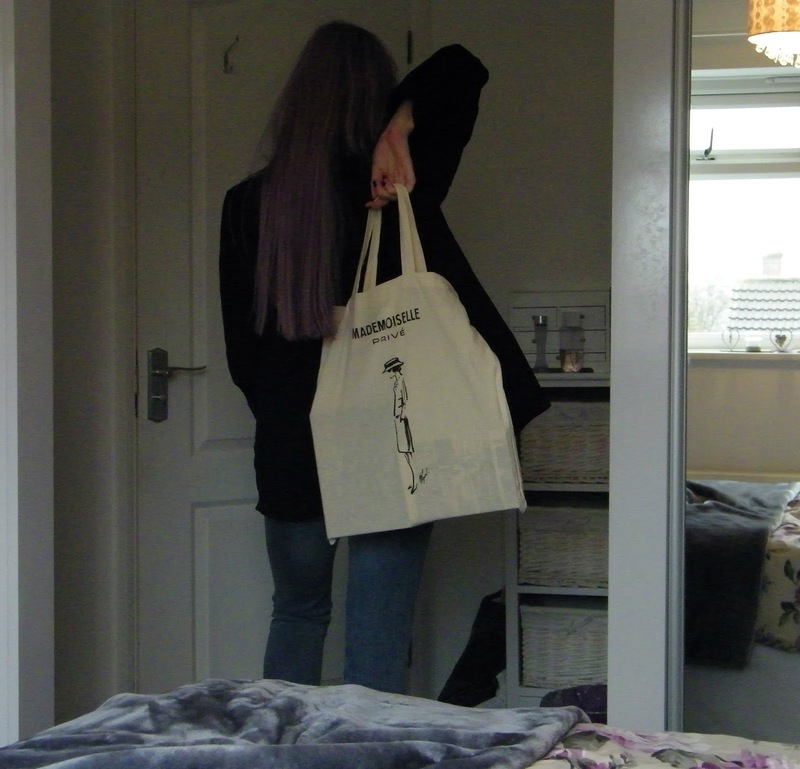 It's not the most amazing setting ever, but at least you can see my outfit and my brand new purple hair! Why purple I hear you ask? I was so bored! I had always had boring dirty blonde borderline brown hair. I hated it so I went for a brown to blonde ombre...big mistake! It ended in disaster and tears were definitely shed. To hide the shame of that monstrous look, I dyed over it with Nice n Easy Honey Blonde packet dye that I had quickly bought from boots. After a few months of that colour, I was completely 100% bored of it. It was nicer in the summer/autumn because it looked lovely in the sun, but when winter approached I decided to go for a warmer colour. 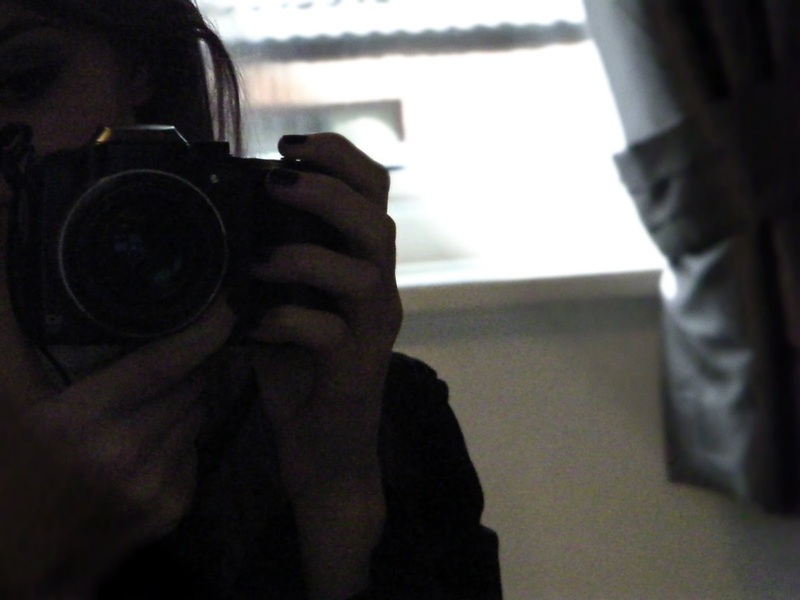 Originally I wanted to go back to brown, but then I started watching 'In The Frow' on YouTube. I discovered her channel through Sammi Maria who I've been watching for years. 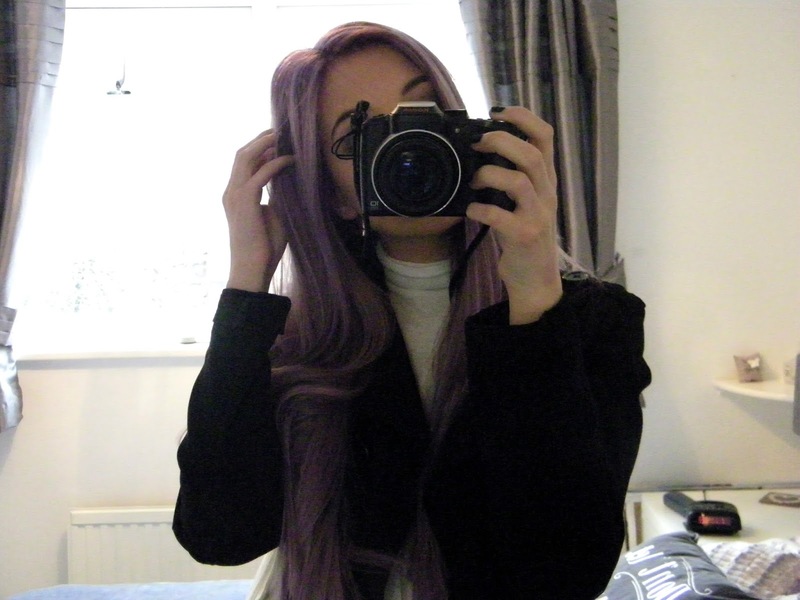 Victoria from 'In The Frow' used to have amazing purple hair and she's been through so many different looks...even a pink to orange to purple ombre! I thought she had a similar complexion to me and her eyebrows and natural hair was about the same colour as mine so I decided to take a risk and went into a salon just down the road from me and asked if they could do it. Obviously, they said yes and I'm in love with it! It was a long 4 hour process, but it was totally worth it. They brightened strips of my hair before they applied the lilac dye and dyed the base of the hair dark violet. The violet didn't take well to some strips of my hair so it has left some parts silvery grey which I'm absolutely obsessed with. An accident gone right! The lilac probably won't last long (2-6 weeks) but it's my favourite part. Thankfully, the violet won't wash out as easily so when the lilac has faded, I'll be left with dark purple hair, but for now, the lighter the better! I can't get enough of my new hair and I'm pretty sure everyone around me is sick of it. I'm posting selfies on social media non-stop and I keep bringing up my hair colour in random conversations. I'm sure my excitement will die down soon, but for now I'm a happy little purple human! Let me know if you have had bright hair before or are planning to have bright hair in the future! 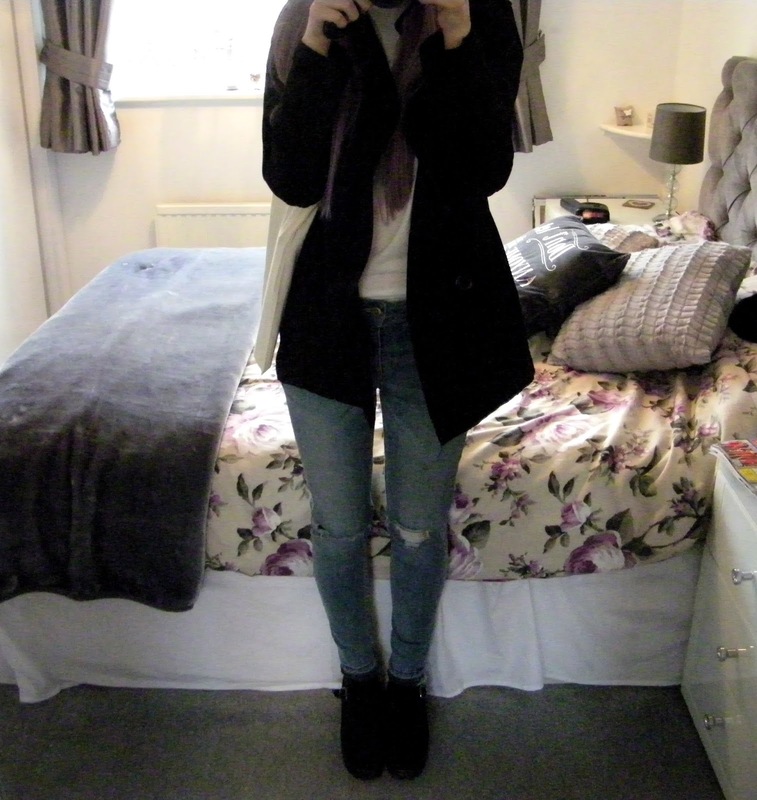 Lovely and simple outfit! Your hair rocks! Love your purple hair do, Looks perfect on you. That hair color looks amazing on you!! I'd love to have purple or pink hair, I think it would be so much fun! Don't worry, I'd be posting selfies all the time too haha. Great post! Your hair is so gorgeous! I love this outfit! 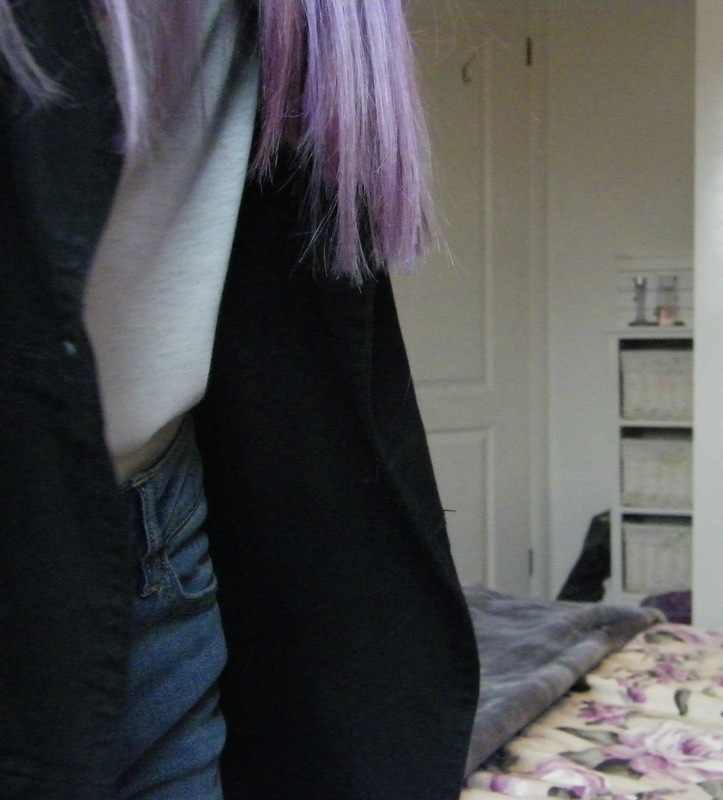 That purple hair. That purple hair. That purple hair. You are working it pretty lady! So in love with your hair, Georgia! You have every right to be excited about it; it looks fab! 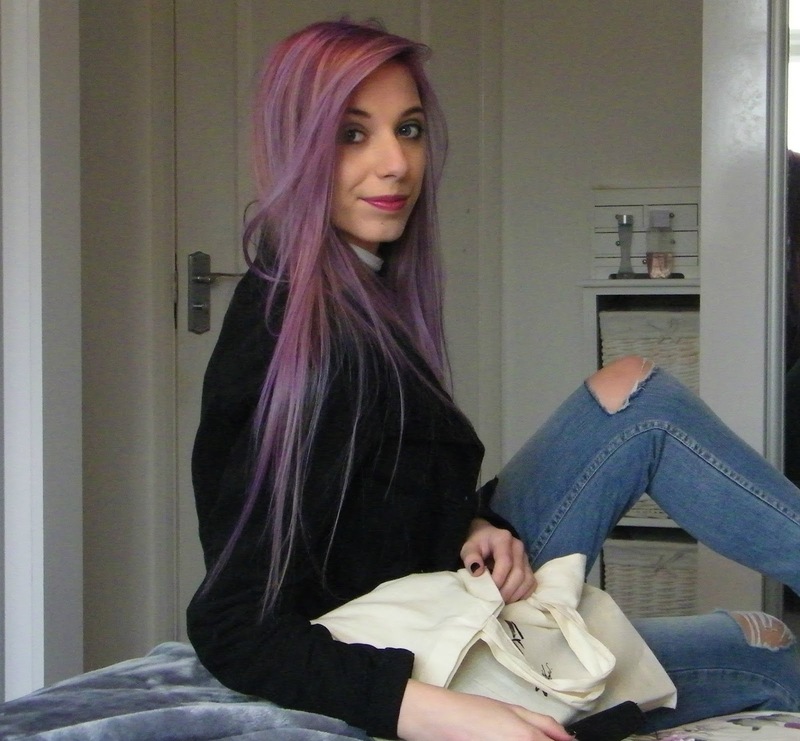 I'm thinking of going lilac soon, too, but I'm weighing my options between other colours, haha. I hope you have a lovely week! 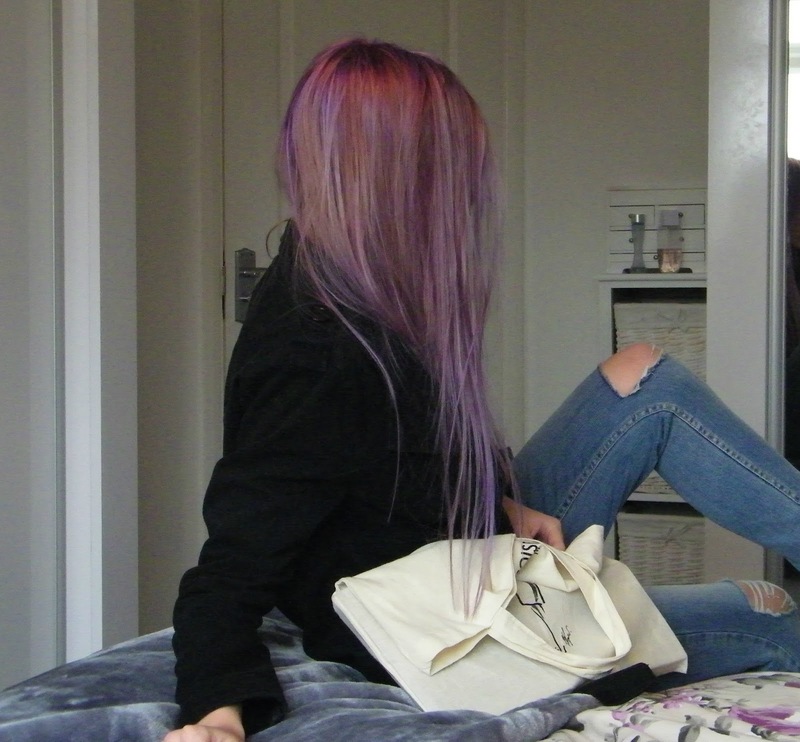 You are rocking the purple hair so well, I'm soo jealous!! Your hair looks so nice! I wish I could pull of pastel hair. You are beautyful. 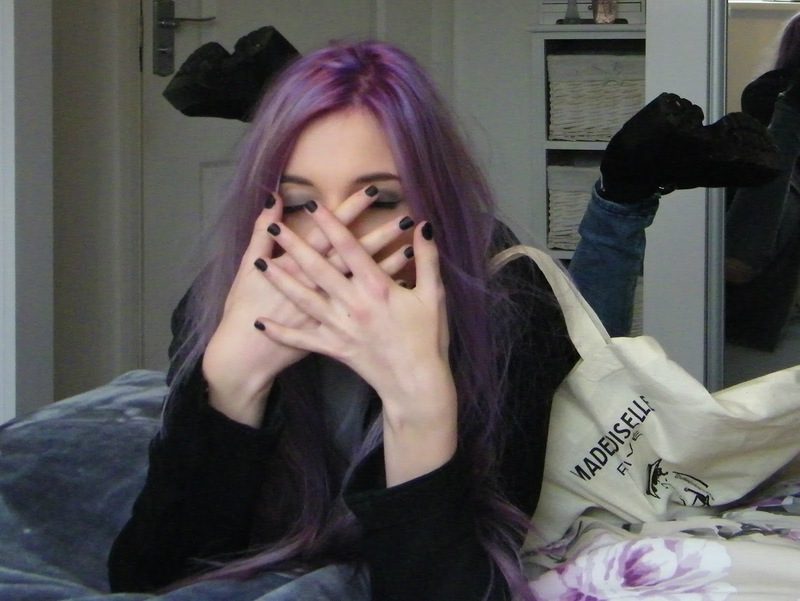 I love this extravagance hair color.